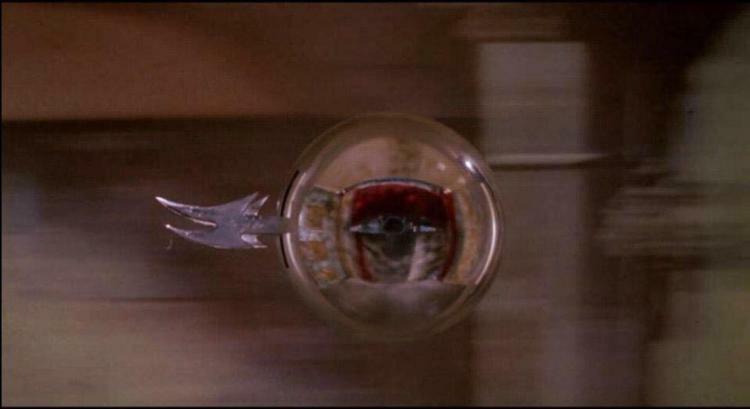 One of the most recognizable icons in horror film history, the Deadly Flying Sphere terrified moviegoers and became the trademark image of the Phantasm Franchise. This weapon of the Tall Man would impale it's victims in the head and drain the blood from their body. 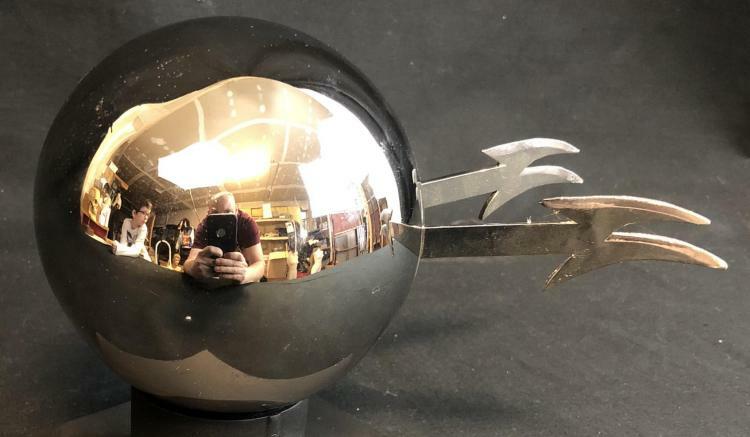 The sphere measures about 6" long from the tips of the blades to the back of the sphere and has some wear with some scuffs on the chrome. Hero metal ball with painted plastic barbs with small dent from production. 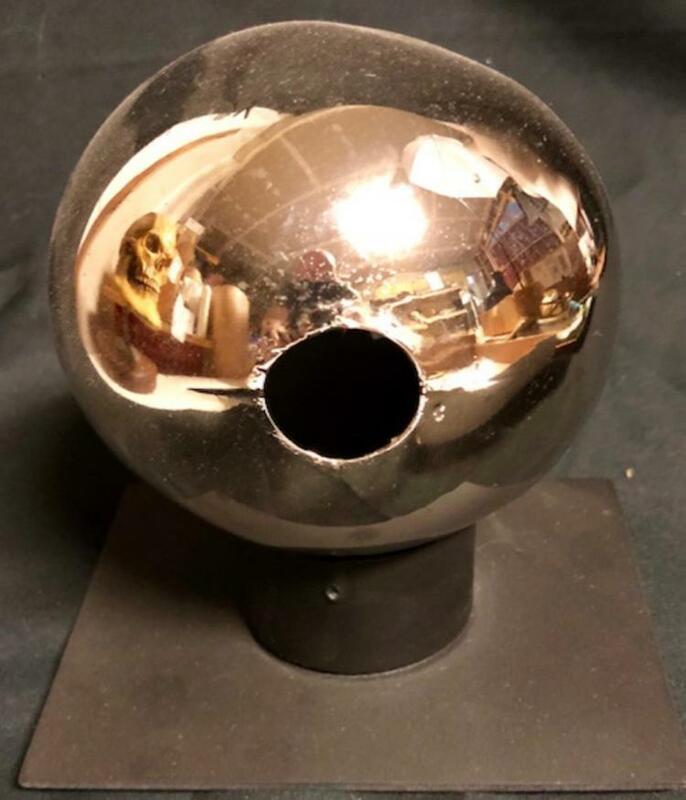 Phantasm III: Lord of the Dead (also known as Phantasm III) is a 1994 horror film and is the third sequel in the Phantasm series, written and directed by Don Coscarelli. The film stars Angus Scrimm as the Tall Man, Reggie Bannister and A. Michael Baldwin. Shipping: You will be charged actual shipping charges from selected carrier, usually USPS, unless customer requests otherwise. The shipping will be calculated based on the address you have on file when you signed up for the auction. Shipping will include insurance for the amount of your purchase and adult signature confirmation. Your item(s) will be shipped out within 30 business days of shipping payment. Some large or oversized or delicate may require may the buyer to contact their own online shipper. There will be a $25 Packing and Handling fee for each lot won. Shipping Terms: You will be charged actual shipping charges from selected carrier, usually USPS, unless customer requests otherwise. The shipping will be calculated based on the address you have on file when you signed up for the auction. Shipping will include insurance for the amount of your purchase and adult signature confirmation. Your item(s) will be shipped out within 30 business days of shipping payment. Some large or oversized or delicate may require may the buyer to contact their own online shipper. There will be a $25 Packing and Handling fee for each lot won.